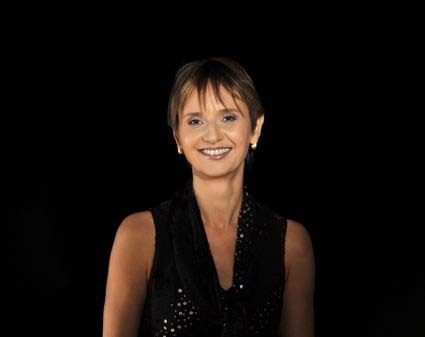 Scottish-Polish pianist Elizabeth Mucha has performed throughout Europe, the Americas, and the Far East as a critically acclaimed song accompanist, chamber musician and solo pianist. She has broadcast for the BBC in Scotland and Northern Ireland as well as other classical music stations in Holland, Brazil, Canada, and the Philippines. She has appeared at music festivals in Brazil, Slovenia and Poland and most recently, in Hull as part of Rio Cello and Hull City of Culture celebrations. For the British Council, she toured the Philippines with soprano Miranda Keys and flautist Kirsten Spratt with whom she released five CDs of flute/piano repertoire. While living in Holland she played for the prestigious “Friends of the Lied” organisation, co-founded the vocal group “Songcircle”, and was involved in a multi-media project to commemorate the life and works of the Dutch painter Piet Mondriaan. In the UK, she worked at the Britten-Pears school and performed with the experimental music theatre group “Opera Circus”. In 2018 she celebrated a 10-year partnership with Bulgarian violinist Krassimira Jeliazkova with a series of concerts in and around London. In addition to her playing, Elizabeth has devised several programmes including scripts for the Verdi celebration concerts in 2001 for Singapore Lyric Opera; Music Travels (solo programme) and a multidisciplinary programme, “Art Sung – Alma Mahler”, which played to great acclaim at Wilton’s Music Hall in London, at the Wandsworth Arts Fringe and most recently at the London Song Festival.